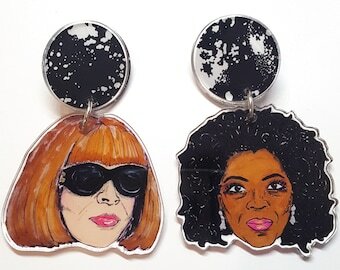 Launched in 2009, Leroy's Place is the original purveyor of illustrated icon acrylic jewelry! This fun line is made from hand-drawn portraits transferred to 1/8" thick acrylic. 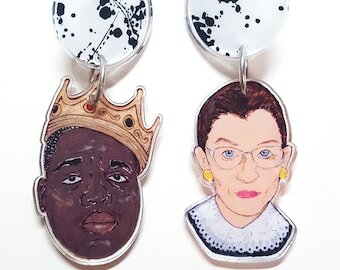 The jewelry is inspired by the look of Shrinky Dinks, but don't be fooled! This unique process makes these pieces much more durable and higher quality. Cool! The only thing Leroy loves more than icons are MONSTERS! Each original print is made from a Leroy's Place original painting. Every unique monster is hand-drawn onto vintage paintings using pen and paint. Photoshop was not used to create or enhance any of the images. This body of work represents collections by Leroy from 2007-2016.
smooth transaction; highly recommended; thank you! 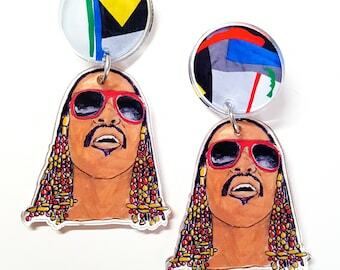 I love, love, love these earrings. 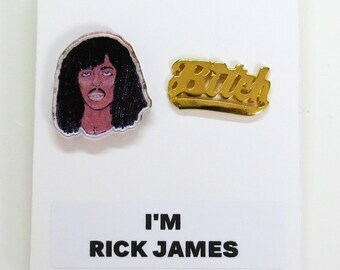 These earrings remind me of my childhood. It was a good childhood. Thank you. 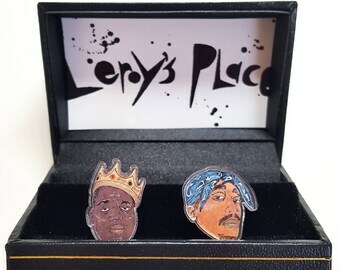 Stumbled across Leroy's Place at a shop In NOLA and got my sister a Biggie keychain and she loved it. Came back and got her these too. She really, really loved these! Will be ordering more from this shop in the future. Catch Leroy's Place pop-up shop at handmade markets all over the country! Leroy's Place is a small business operated out of New Orleans. We do everything we can to produce a high quality product that will meet and exceed expectations on delivery. If you are unhappy with your order in any way, please contact us! All sales are final unless they arrive damaged. 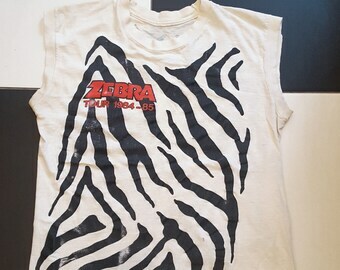 Feel free to request additional images/ask questions about any piece to be sure it is right! Please contact us if your item is lost or arrives damaged. It is our responsibility to package your purchase safely. We are happy to replace lost or damaged items. We accept any major Credit Cards, Paypal, and now Etsy Gift Cards! Domestic mail is shipped via USPS First Class. USPS First Class Mail generally takes about 3-5 business days to arrive, and does include a tracking number. A Priority Mail Upgrade can be purchased for an additional $3 through a separate listing. If you need expedited shipping, just convo us! We will do everything we can to help your item arrive in time. Please be aware that many of our items are hand-made to order, and if they are not in stock we may not be able to accommodate same day or next day shipping requests. We are happy to ship internationally; in fact, all International shipping prices have been discounted in our shop substantially from their actual cost to make it easier for you to purchase from overseas! Leroy's Place covers the difference :) Every package shipped Internationally will have tracking information within the US. Please contact us if you need additional services like expedited shipping or insurance. 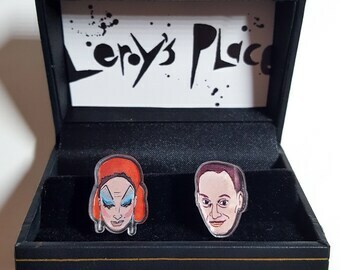 Leroy's Place does wholesale! Message us for details. Can you do custom earring/cuff link sets? We are unfortunately not able to do one of a kind custom orders. We have to work with large minimums in the acrylic, so while we love to hear your requests, we cannot make single custom sets. We always take requests into consideration when building the line, so always ask! Large scale custom orders are possible, so if you are interested in 50+ pieces (band merch, wholesale, etc..) contact us for details! We love working with shops! 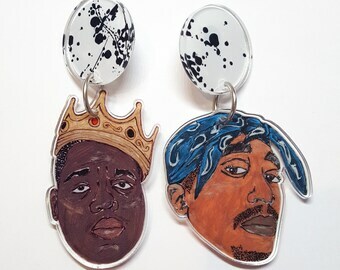 Our line sheets are separated by items, so let us know if you are interested in Earrings, Key Chains, etc.. and we will send over the corresponding line sheet.